Pain management. It’s a very hot topic. The reason for this is straight forward. It is safe to say that every living person in this world has experienced pain at one time or another. It is also the predominant feature of most diseases, acute and chronic alike. Pain is commonly elicited in regions of the body where there is inflammation. If the inflammation lasts a long time, it causes damage to the organ that is inflamed. This may lead to chronic, debilitating and painful illness. The problem with common pain medications is that they rely heavily on blocking the perception of pain but not the underlying cause. Another problem with these medications is that most of them have serious side effects and can also be highly addictive as they fall in the category of narcotics. Nsaids like aspirin and ibuprofen cause stomach ulcers and are toxic to the kidneys. 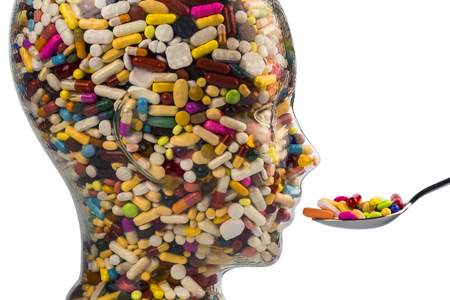 Tylenol is toxic to the liver, and opioids like oxycodone are highly addictive. All this grimness aside what can we do about it? Well instead of just trying to cover up the pain why not try to stop the inflammation that causes the pain in the first place? Why not go to the root of the problem instead of just trying to hush it up? Well here is what Mother Nature provided. Devil’s claw has been shown to be effective in reducing joint pain. Ginger is a strong anti-inflammatory agent that has been shown to be effective for arthritic conditions as well as for respiratory tract infections. Bromelain reduces pain by reducing the level of prostaglandins, and Turmeric which contains the active ingredient Curcumin is effective for reducing inflammation and pain by lowering the level of pain producing cytokines. Finally what can not be missed when discussing pain is that Medical Marihuana strains with a high level of Cannabidiol have been shown to have a potent anti-inflammatory and anti-pain quality. They are very effective in reducing pain and increasing the quality of life of patients with many chronic, painful and debilitating medical conditions. Categories: Anti-Inflammatory, Antioxidants, Natural Products, Pain Relief, Radical Remedies, by Dr. Karol, Stress Relief, Superfoods | Tags: anti-inflammatory, antioxidants, mental health, pain relief, stress relief, superfoods | Permalink.